Vaping is immensely popular and is the absolute fastest delivery method of all the types of CBD oil products that are currently available. Vaping works in the same way that using an electronic cigarette would. 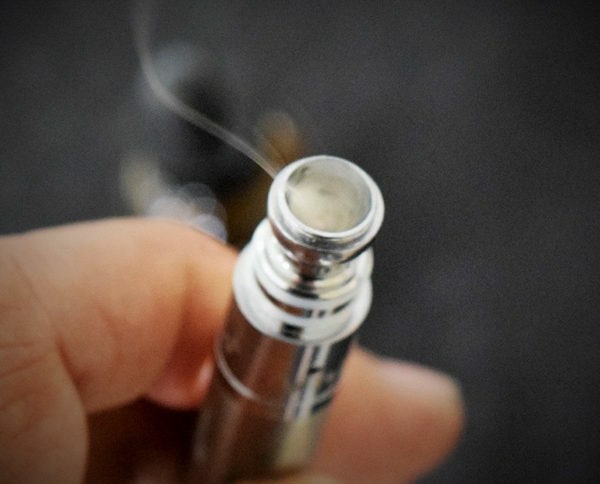 You put your CBD oil or ‘ejuice’ into a tank (CBD oil is concentrated cannabidiol in a liquid form), and when you press the button on your vape, the liquid is heated up. When it is heated, it vaporizes, and you inhale it to be dosed that way. Vaping CBD draws it into the lungs, and it diffused directly into your blood. It is the fastest way you can get your dose. 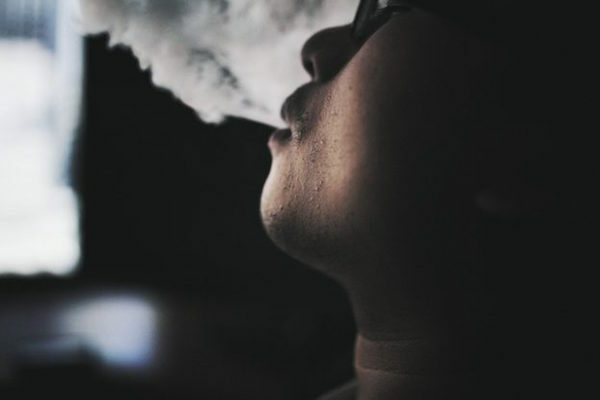 The reason that vaping CBD works far more quickly than other dosing methods is that it goes directly into the lungs, avoiding the infamous first-pass effect. This is where some of the drug gets lost in the gut-wall and liver. This causes inaccuracies in dosing, longer delivery time to systemic circulation, and it also puts undue stress on the liver. Vaping CBD draws it into the lungs, and it diffused directly into your blood. Vaping is the fastest way you can get the CBD into your system, which is awesome, but it also helps you stretch your CBD further. When you buy yourself a tincture or a capsule and ingest it orally, each time you take it, some will get lost before reaching your system. You see the most bioavailability with vaping. Vaping CBD is popular for many different reasons. It is the most widely-used method and people use it for many various reasons, as CBD has so many benefits. It’s great for pain, nausea, stomach trouble, insomnia, anxiety, depression, inflammation, and even complications from some chronic conditions. When you’re feeling nauseous, or having a panic attack, for instance, you certainly want relief as soon as you can get it. Vaping allows for it. An added benefit to vaping your CBD is that vaping is extremely popular as a cigarette alternative. Because of its prominent use, ejuice is available at a lot of different smoke or vape shops. There are also hundreds of different flavors that you could choose from, where the ejuice is slightly flavored so that you taste it while you’re using it. Decadent dessert options like tiramisu or cinnamon buns are available, or lighter and fruitier flavors like watermelon, whatever you’re in the mood for. There are also fun flavors like cotton candy. Some online shops, or local if you live in a bigger city area, have the ability to mix custom flavors upon request. You can experiment with the taste, and you can experiment more with dosage and see what works best for you. Not every kind of vape device will allow for the same amount of CBD to be vaporized at once. It is important to do the research and find what vaporizer is most likely to work for the dosage you need. In general, people start with 3-5mg up to three times a day. When deciding what dose is best for you, your should consider your weight and the symptoms you’re dealing with. If you don’t see any change in how you feel after your first hit of the vape within fifteen minutes, try another. This is a slow way to figure out what works for you. In an example, one of the more popular vaporizers is the Volcano Vaporizer, and it allows for 200mg of CBD to be vaporized at once. Vaping is so much better for you than other types of CBD because of the faster release; it is also important to note that very few if any adverse side effects are associated with vaping. Because it is a water vapor, you will not have any of the harmful chemicals released as if you were smoking. You can purchase CBD ejuice in the liquid form to add to a tank, or as a cartridge for your convenience.